Omega-3s have proven themselves as important building blocks not only for overall health in children but in supporting a child’s ability to learn. Nordic Naturals, the leading manufacturer of omega-3 supplements for kids and adults, announces its Back to School Essentials product promotion, which supports the U.S. Literacy Program for the non-profit Save the Children. Did you know that literacy is one of the most powerful gifts you can give to another human being? The ability to read can help bring someone out of poverty by providing them education and personal empowerment. 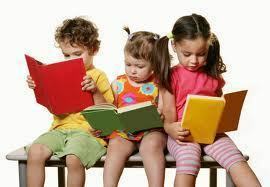 Being able to read has also been shown to increase life expectancy. (Read statistics here.) Helping children attain a better education through literacy is the foundation of a better world. Save the Children’s U.S. Literacy Program provides children with the opportunity to increase their reading achievement by supplying the tools they need to further develop reading skills (leveled books, daily read-alouds, fluency-building activities, emergent reader activities, learning materials, literacy games, computers, and tutorials) and the guidance and support they need to grow as readers. I believe literacy is essential to ensuring your child has the best chance to succeed in school and everyday life. Literacy allows a child to develop their language and comprehension skills when they read aloud, as well as when they are read to by an adult or older sibling. From July 1 through September 30, $1 will be donated for every bottle sold at retail stores of the following products: Baby’s DHA, Children’s DHA™, Omega-3.6.9. Junior™, Ultimate Omega Junior®, and Nordic Berries™. Disclaimer: I received product samples for this post. Any opinions are my own. We use omega 3, but I've never tried this brand...Would love to give it a try! Nordic Naturals have excellent quality products. I bet the Omega Jellies are tasty! !